The Superocean Heritage diver's watch, measuring 46 mm, is water resistant to 200 metres, and is inspired by the function and design of the legendary 1950s model. 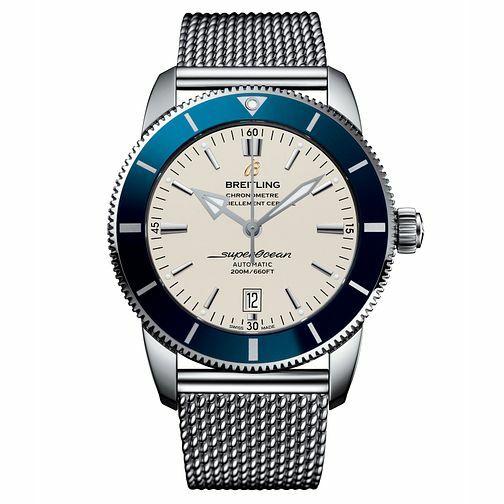 Styled with a stainless steel mesh bracelet and blue unidirectional ratcheted rotating bezel, with silver dial. Complete with date aperture at 6 o'clock position.